On Thursday, PM Modi, while interacting with part’s booth-level workers in Tamil Nadu, had said that the party was open to alliances and cherished its old friends. New Delhi: Prime Minister Narendra Modi on Sunday released a commemorative coin on Guru Gobind Singh to mark the birth anniversary of the 10th Sikh Guru. The Prime Minister also addressd a select gathering on the occasion at his residence. PM Modi had attended 350th birth anniversary celebrations of Guru Gobind Singh in Patna on January 5, 2017. He had also released a commemorative postage stamp to mark the occasion. 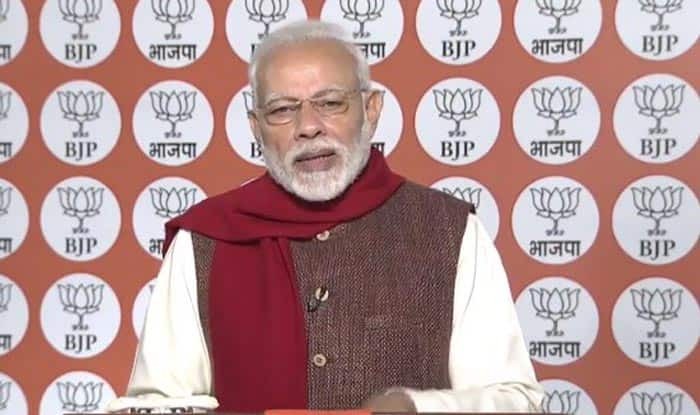 Later in the day, PM Modi will BJP workers of five districts in Tamil Nadu – Mayiladuthurai, Perambalur, Sivaganga, Theni and Virudhunagar – through video conferencing. On Thursday, PM Modi, while interacting with part’s booth-level workers in Tamil Nadu, had said that the party was open to alliances and cherished its old friends, hinting that the BJP is trying to strengthen the NDA in the southern state ahead of the Lok Sabha elections. He recalled the “successful coalition politics” ushered in by former prime minister late Atal Bihari Vajpayee in the 1990s and said that the BJP’s doors were “always open”.